Rageh Omaar – Broadcaster, Guest Speaker and Conference Facilitator. Rageh Omaar was educated at Cheltenham Boys College and later Oxford University where he gained a BA Honours in Modern History. Rageh’s journalistic career began in 1990 as a trainee at The Voice newspaper in Brixton before moving to City Limits Magazine. He then freelanced as a foreign correspondent in Ethiopia, much of his work being broadcast by the BBC World Service. He produced for Focus on Africa and for the World Service. 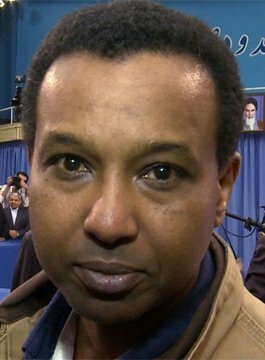 Rageh Omaar studied Arabic at the University of Jordan, and went on to be appointed Amman Correspondent, before becoming the BBC’s Developing World Correspondent from 1998 covering stories ranging from drought in Ethiopia to devastating floods in Mozambique. His first book Revolution Day drew from the diaries he kept while in Iraq. Rageh’s recent documentaries include: Coping with the Tsunami and 7/7: A Test of Faith with Rageh Omaar. For the BBC’s Africa Series he has interviewed Nelson Mandela. Other recent work includes a BBC Panorama Special, Knives – A Teenage War Zone and BBC4’s An Islamic Journey Through Europe, a 90 minute documentary which uncovers the hidden story of Europe’s Islamic past. Rageh Omaar rose to prominence as the BBC’s man in Baghdad. His reports from the beleaguered Iraq capital became a regular feature on news bulletins in the UK and around the world. In September 2006, he moved to a new post at Al Jazeera English, where he presented the nightly weekday documentary series Witness until January 2010. The Rageh Omaar Report, first aired February 2010, is a new one-hour, monthly investigative documentaries in which Rageh Omaar reports on the world’s most important current affairs stories. In 2013 Rageh joined ITV News as Special Correspondent. During the Edinburgh Television Festival Rageh spoke at a seminar entitled Saddam: My Part In His Downfall. Rageh gave a speech for Factors and Discounters Association in Manchester, being described as ‘engaging, charming and perfectly pitched’. He hosted the EMMA Awards and has given speeches with Q&A for AXA being described as ‘illuminating, and a breath of fresh air’, ‘refreshing to hear a speaker with such genuine enthusiasm for his subject’. Rageh hosted Alliance & Leicester’s two day Annual Conference in Manchester and has spoken for EDS, The Chartered Society of Physiotherapy and given a keynote speech for ABTA in Florida.